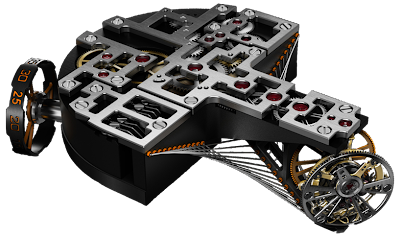 "An aerial bi-axial tourbillon mechanism. 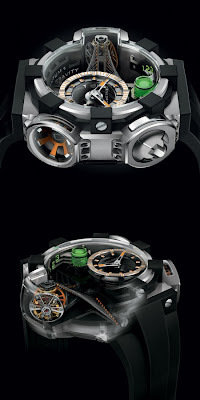 A vertical power reserve. Individualist seconds. A stripped-down dial and spectacular volumes: the latest specimen from the C Lab Series defies all theories. Even better, it creates its own rules: emptiness is its core material, engineering its constancy; chemistry a dare and transparency a must. Black vulcanized rubber fixed to the case with 4 screws"